Holsworthy Health Care would like to store cookies to improve our website functionality. You may block or delete cookies from our site but this may limit some fuctionality. If you continue without changing your settings, we will assume that you have agreed to receive cookies. Click here for further information. We aim to provide for each resident a package of care that contributes to his or her overall personal and healthcare needs and preferences. We co-operate with other services and professionals to help maximise each resident’s independence and to ensure as fully as possible the residents maximum participation in the community whilst respecting their right to confidentiality at all times. Deer Park is registered with the Care Quality Commission and the local councils to provide Care care to adults. There is at least one registered nurse on the premises at all times who is supported by a strong team of experienced carers. All employees are fully checked with the Criminal Records Bureau, and all of our care staff complete a comprehensive induction programme and receive on-going training through a recognised nationally accredited agency. 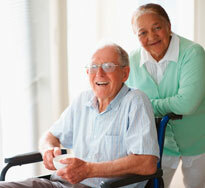 Through experience and training we ensure that the care provided in our home is of the highest quality. Each package of care is underlined by our attention to the rights of our residents to express their views and make decisions about their care, treatment and support. We strive at all times to maintain the privacy, dignity, choice and independence of people who use our service. 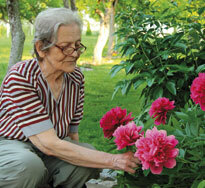 Deer Park Care home can offer a wide range of extra services which include trial visits, respite and daycare. Would you or a loved one benefit from a break at Deer Park? We believe that an activities programme is an essential part of a complete package of care. We employ two in-house activities co-ordinators who organise a range of activities to suit every ability, age and interest. From gardening to playing games, cards to arts and crafts, there's so much to do! The home has its own mini bus and adapted disability vehicle which are used to provide trips and transport to the surrounding area. We also have a large number of visiting entertainers.